At some point they’d built a stage in their garage. Vinnie had a huge drum set. These guys had the only p.a. system in town, too, with microphones. What a blessing that was/ Around this time I was playing bass and singing in a three-piece band, Neck and the Brewheads. We’d play parties together, where we got paid in free beer and cheap acid. Dime would run sound for us and always arrived with a two-liter of Big Red soft drink and Slim Jim beef jerky, eating those things a half dozen at a time. The brothers invited me to join their band, Pantera. We made our first album, Metal Magic, before I had even turned 18. I believe Vinnie wrote the lyrics to the song “Sad Lover.” It was really great for a 17 year old and a very cool sounding tune. We became really tight over the course of those first three records, often playing six nights per week, five sets per night. When the old singer ran off, we got lucky enough to get Phillip in the band. He brought something with him that was just incredible. Everything changed, from musical styles to things we hadn’t heard before. Our playlists were completely different now. The four of us were always together, playing all over the state of Texas, Louisiana, and Oklahoma, at the same time selling boatloads of cassettes and vinyl out of the back of our car. 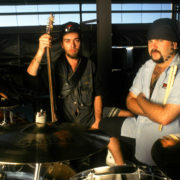 Dime and I always shared a hotel room and we were always up to no good, while Vinnie and Phillip – two completely different cats – had to listen to our antics from the room next door. We recorded a record with Phillip called Power Metal and sold 40,000 copies out of said car. The major labels were now interested. We’d had 28 turndowns in the previous six years. Atco Records came to the rescue. Once we got our foot in the door (meaning major label), we didn’t get off stage and start partying right away like most bands did. IT WAS ALL ABOUT THE JAM. We’d sit there and go through everything about the performance, every tempo, and every cue. Everything had to be spot on, for all of us, even when we were terribly hung over. We wanted to keep bettering ourselves. The times we just let it go and let the magic happen, the music pulled us all together to make what we did so special. Vinnie was also a hell of an engineer. He knew the ins and outs of the board. He learned so young from his dad, who was an experienced engineer. He could get behind the board and do anything. He just had it. All of us were so uniquely different from each other, even the brothers. We all had unique personalities that all meshed together, because of our separate influences and personalities, that made the whole thing what it was. 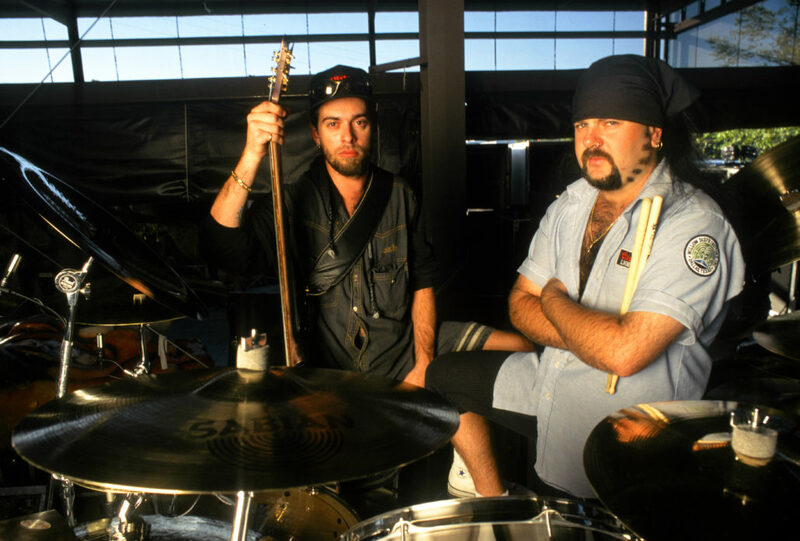 Unless you’ve been in a band, you can’t understand that the relationship between Dime and myself was one thing, between Phillip and Vinnie was another, and on and on, in every combination. I’m so grateful to have been around the Abbott brothers, to play some part in their legacy, to share more than half of my life on the road and in the studio with them. I’m so glad that Vinnie found a home for his unmistakable groove, some peace and happiness, and a new family with Hellyeah, after the unthinkable tragedy in 2004. At the end of the day, all you can hope is that you gave it your all, ya’ know? I think Vinnie did. He gave everything he possibly could, as we all did.